Simple, for some it may be a clear alternative to braces. Invisalign uses a series of clear aligners that are custom-molded to fit you. 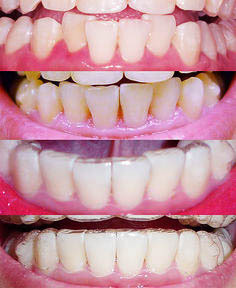 The virtually invisible aligners gradually reposition your teeth into a smile you'll be proud of. Why do people prefer Invisalign Dental Services? See our Dentist, Dr. Lee for a free consultation to determine if you are a candidate for Invisalign. If you are, then Dr. Lee will take a bite impression of your teeth, which Invisalign will use to make aligners. Come to see Dr. Lee for progress checks. It depends on the kind of treatment you need, how long it takes. Invisalign treatment is usually similar to the cost of traditional braces. Furthermore, if you have dental insurance that covers orthodontic treatment, Invisalign should qualify.